Donald Trump celebrated his first 100 days as US President on Saturday with a campaign-style rally attended by cheering fans in Harrisburg, Pennsylvania. 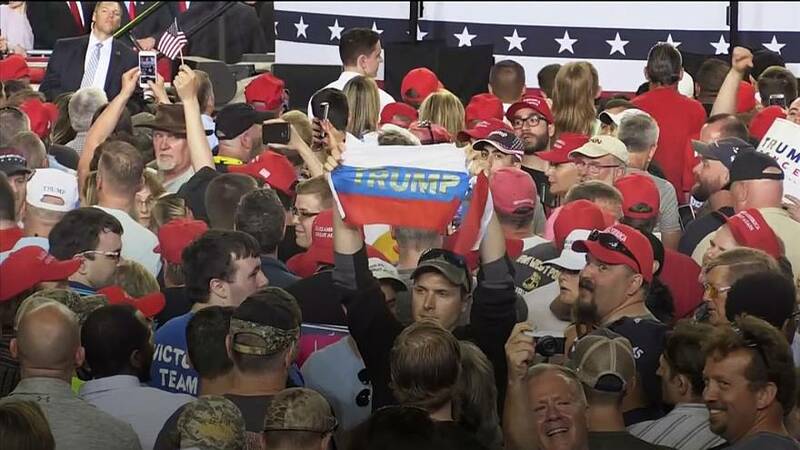 Protesters held up Russian flags bearing Trump’s last name as he addressed his supporters. The two men were forcefully removed by police. This wasn’t the first time the tri-colour flags have appeared at a Trump rally. On February 24, audience members were handed similar flags during the Conservative Political Action Conference (CPAC) in Oxon Hill, Maryland.